Stay protected and give you peace of mind while travelling abroad. From now until 23 April 2019, apply up to 8 days Deluxe Travel Protect Plan to selected destinations in Asia at HK $88 per insured person.Experience a faster way to apply via SC Mobile App. Up to HK$2,000,000 in Personal Accident benefits. Up to HK$1,000,000 of comprehensive Medical Expenses cover. 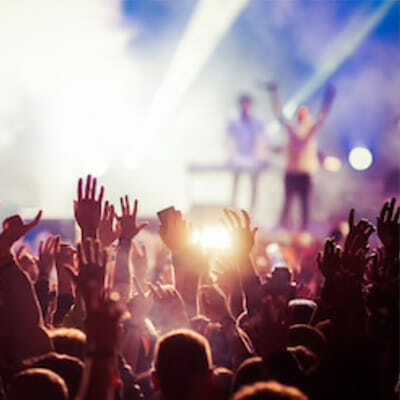 Get reimbursement of ticket costs for unattended events. Excess charge cover arising from the loss or damage of rental vehicles. From 21 March to 23 April 2019, purchase Allianz Travel Protect Single Trip Deluxe plan (max 8 days) to designated travel destinations in Asia* online for only HK$88 per insured person. There is also 25% premium discount for other Allianz Travel Protect plans. *Eligible designated travel destinations in Asia are: China, Japan, Brunei Darussalam, Indonesia, Cambodia, Korea (South), Laos, Macau, Malaysia, Philippines, Singapore, Thailand, Taiwan and Vietnam. Notes: Allianz Travel Protect plan is underwritten by Allianz. The Bank is an insurance agent appointed by Allianz. Offer 1: Enjoy up to 8 days of coverage to Eligible Designated Travel Destinations (as defined below) with Allianz Travel Protect Single Trip Deluxe Plan for HK$88 per insured person. Offer 2: Enjoy 25% premium discount for Allianz Travel Protect Single Trip Plan or Annual Multi-Trip Plan. Offer 1 and Offer 2 are subject to the terms and conditions set out below. 1. The promotion (the “Promotion”) shall run from 21 March 2019 to 23 April 2019 (both dates inclusive) (the “Promotion Period”). 2. 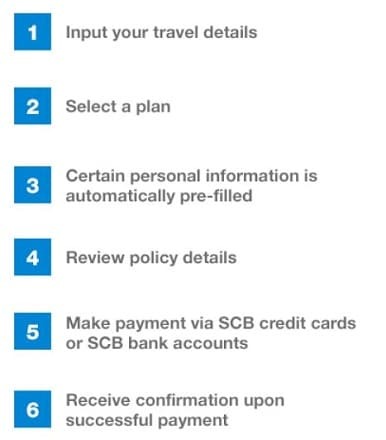 The Promotion is only available to applicants upon successful application and payment made for Allianz Travel Protect plan(s) on Standard Chartered Mobile App directly or on the Allianz’s website (the “Allianz’s Website”) as accessed through the Bank website during the Promotion Period (each an “Eligible Customer”). 3. a) For Offer 1, an Eligible Customer will be entitled up to 8 days of coverage to Eligible Designated Travel Destinations with Allianz Travel Protect Single Trip Deluxe Plan for HK$88 per insured person when purchased during the Promotion Period. The price is inclusive of travel insurance premium and levy* imposed by the Insurance Authority. Eligible Designated Travel Destinations referred to in Offer 1 are: China, Japan, Brunei Darussalam, Indonesia, Cambodia, Korea (South), Laos, Macau, Malaysia, Philippines, Singapore, Thailand, Taiwan and Vietnam. b) Due to rounding of premium payable and associated levy, the final premium payable by an eligible customer may be different from what has been shown in this promotional material only by cents. 4. For Offer 2, an Eligible Customer will be entitled to 25% premium discount for Allianz Travel Protect Single Trip Plan or Annual Multi-Trip Plan when purchased during the Promotion Period. 5. Offers 1 and 2 cannot be enjoyed in conjunction with each other. 6. The discounted premium of this Promotion is not exchangeable for cash, other item or voucher of other denomination. 7. These terms and conditions apply to the Promotion for Allianz Travel Protect plan only and no reference has been made to any other Allianz insurance policy or any coverage or content thereunder. Customers must read, understand and agree to the terms of all insurance policies before applying for the relevant insurance. 8. The Bank and Allianz reserve the right to alter or terminate the Promotion and/or amend its terms and conditions at any time without notice. 9. All matters or disputes in relation to the Promotion and the interpretation of the terms and conditions herein shall be subject to the decision of the Bank and Allianz, which shall be final and binding. 10. If there is any inconsistency or conflict between the English and the Chinese versions of these terms and conditions and/or any details of the Promotion, the English version shall prevail. 11. Customers understand and accept that the Bank is not the supplier of the products/ services purchased from the merchant / insurer. The Bank shall bear no liability relating to any aspect of the products/services, including without limitation, their quality, the supply, the descriptions of goods and/or services provided by the merchant / insurer, any false trade description, misrepresentation, mis-statement, omission, unauthorized representation, unfair trade practices or conduct in connection with the products/services provided by the merchant / insurer, its employees, officers or agents. 12. 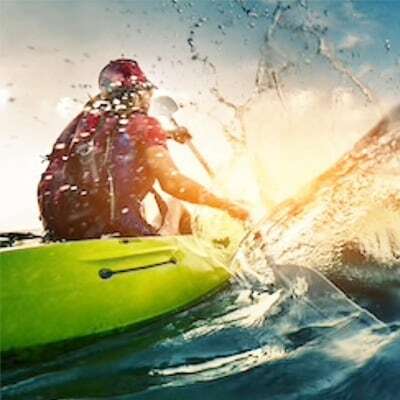 Allianz Travel Protect is underwritten by Allianz Global Corporate & Specialty SE Hong Kong Branch which is a general insurer authorized and regulated by the Insurance Authority of the HKSAR. Standard Chartered Bank (Hong Kong) Limited is an insurance agent appointed by Allianz. To the extent permissible by law, the Bank shall not be liable to any person for the use of any of the above information. 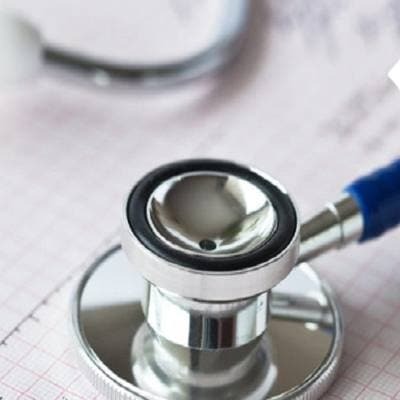 MEDICAL EXPENSES Medical expenses when suffering from bodily injury or sickness, plus additional transport expenses during extended stays for medical treatment. Follow-up medical expenses up to 3 months after return to Hong Kong (maximum benefit of HK$50,000). Bonesetters’ fees/Chinese Medical Practitioner (HK$150 per visit per day, maximum benefit of HK$1,500). TRIP CANCELLATION AND CURTAILMENT Reimburses unused travel and accommodation expenses resulting from:Bodily injury, sickness or death of the Insured Person, his/her immediate family members, fiancé(e), travel companion or close business partners.Strike or industrial action, riot, derangement of public transport, hijack, adverse weather conditions or natural disaster causing a delay of public transport for more than 24 hours. Additional transport expenses needed for re-routed return to Hong Kong. Travel agent administration charges (maximum benefit of HK$300). LOSS OF TRAVEL DOCUMENTS AND PERSONAL MONEY Travel and accommodation expenses incurred in replacing a passport. This insurance is only valid for travel originating from Hong Kong and the applicant must be aged 18 or over. The age of Insured Person should be from 60 days to age 85. Maximum Personal Accident Benefit for Insured Person aged under 17 is HK$300,000 for Standard Plan and HK$500,000 for Deluxe Plan. Insured Persons aged below 12 must be accompanied by a parent or guardian. 24-hour Worldwide Travel Assistance Services are available outside the Insured Person’s usual place of residence (e.g. HKSAR). 1.The age of Insured Person should be from 60 days to age 85. 2.The maximum period covered is 182 days of single trip and 182 days per trip for annual cover. 3.No refund of premium & levy is allowed once the Certificate of Insurance has been issued for single trip/annual cover. ^ Annual Cover: cover for unlimited number of journeys not exceeding 182 days, which commences from and returns to Hong Kong within the Period of Insurance. 1. The age of Insured Person should be from 60 days to age 85. 2. The maximum period covered is 182 days of single trip and 182 days per trip for annual cover. 3. No refund of premium & levy is allowed once the Certificate of Insurance has been issued for single trip/annual cover. Major exclusions: pre-existing injury or sickness, act of war, participation in illegal acts, professional sports, pregnancy, childbirth, suicide, self-inflicted injury, AIDS, flying other than as a fare-paying passenger etc. The above plan is underwritten by Allianz Global Corporate & Specialty SE Hong Kong Branch (Allianz) which is a general insurer authorized and regulated by the Insurance Authority of Hong Kong. Standard Chartered Bank (Hong Kong) Limited is an insurance agent appointed by Allianz. To the extent permissible by law, Standard Chartered Bank (Hong Kong) Limited shall not be liable to any person for the use of any of the above information.